Pool World’s hosting their annual Pool School Opening Seminar on May 30th at 7 pm. This event will be hosted at our Central Store 5701 E Sprague Ave. The Pool Opening Seminar will be taught by Randy, a Bioguard District Sales Manager and one of our staff. The seminar is ideal for every pool owner including a new pool owner to a seasoned pool owner! It is the perfect place to come and ask questions about pool opening, maintenance, filtration, repairs, and water chemistry. At every Pool School, we have Customer Appreciation where you will save 10% on all water care purchases following the seminar! 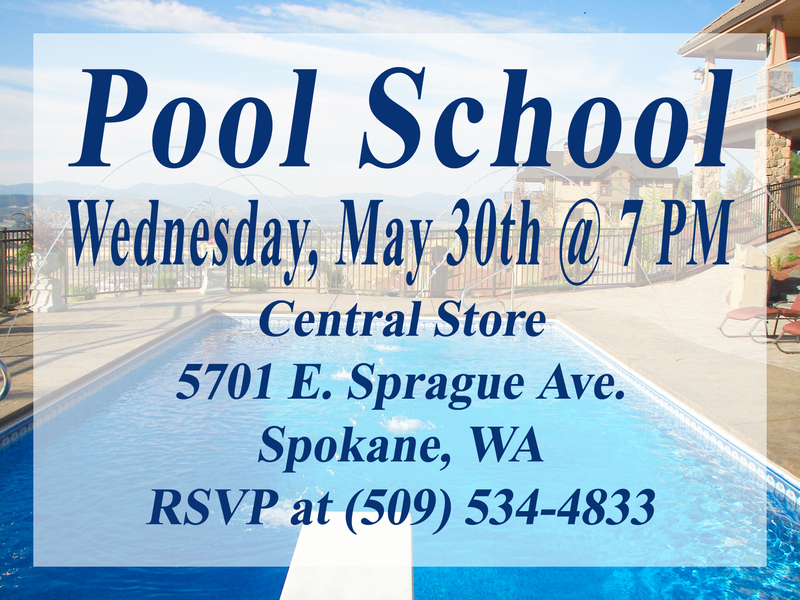 Come join us at our Central Store, 5701 E Sprague @ 7pm for the free class, have some fun and learn simple tips to maintain your pool!